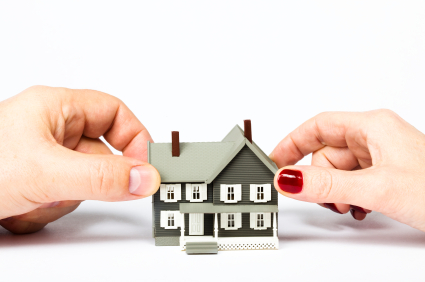 A second possibility is that the property is to be transferred to one of the parties as part of a divorce settlement. An experienced real estate attorney should handle the deed transfer. If there is still outstanding debt on the property, it must be decided how it will be paid. If the parties’ finances will allow, the outstanding loan can be refinanced, with the person who is keeping the residence assuming the obligation to pay the refinanced loan. This allows the individual who is not keeping the residence to have their name removed from the mortgage loan in question. Many divorces involve one party having more financial “clout” than the other. In such situations, both parties’ interests must be protected. While negotiating a divorce settlement is outside the scope of this blog post, if there is debt on the property, many settlements require that the “monied spouse” pay off the debt on the property, allowing the other spouse to remain at the residence, which is now debt-free. It should also be noted that a lending institution may have to approve a transfer of the property ownership where the loan is not being fully paid off. Most mortgage loans require lender approval to change legal ownership of the property. This is because the lender wants both original owners legally responsible for the debt on the property, and will generally not allow one of the co-owners to get “off the hook” by transferring their ownership to their spouse, especially if the party removed from title is the “monied” spouse. When a property is already the subject of a foreclosure lawsuit, it is important to retain experienced counsel to defend such an action. Such counsel can coordinate with divorce counsel to make sure that the Court is aware of the status of the divorce proceedings, and to make sure that the property is not lost to foreclosure before the parties can work out their differences.